Yet another short story based on a prompt. “What do you mean you lost the map?” Doug ground out between clenched teeth. I stared wide eyed. “It was in my backpack…now it’s gone! It’s not like I deliberately set out to lose it!” I bit back. Doug clicked his tongue in annoyance. We really didn’t need the map. We’d be fine without it. But he like to be so meticulous about things. We knew which graves we were looting. For some reason though, he liked to mark them on the map. Not just mark them, he put his own little symbol on them. He was weird that way. “Dude, I’ll make a fresh map when we get back tonight. Here, just take a shovel and let’s get to work.” I said, handing him one of our three shovels. Always bring a spare. Doug snatched up the shovel, his anger etched on his face. “Yeah, you do that.” He said, and started digging in a freshly planted grave. “Yanno, you just don’t get it, do you?” He muttered. The rest of the night was spent in relative silence, each of us working on unearthing the freshly laid coffins from their confines. I liked fresh graves. The bodies weren’t gross. Doug liked the older ones for some reason. He didn’t just dig up a grave and take the loot. He actually studied the bodies. It was frikkin’ gross. Downright disturbing. He was always fair about sharing the loot though. Doug gave a low whistle, catching my attention. “Hey, Randy, come here and look at this…” He said softly, staring intently at whoever he unearthed. 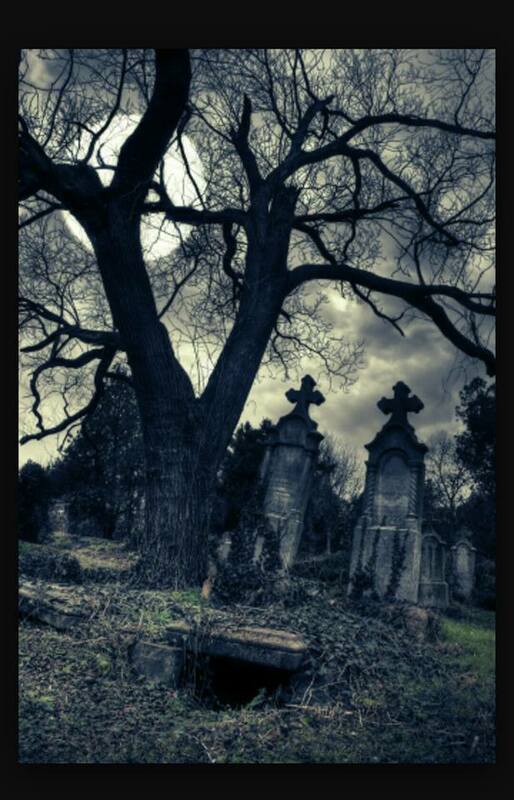 I went over, jumping into the grave to stand beside him, peering into the casket. Doug was laughing. “Don’t wanna kiss your own mum? Come on, Randy…mother dear misses you…” He hissed. I tossed my backpack above, still trying to get my footing on getting out of my own mothers grave. She’d been dead for going on six years now. Doug was still chuckling, all the way up until I felt an agonizing pain in my head. I remained awake, aware, but helpless. Doug hauled me back, shoving me into my own mothers casket with her putrid body. “It’s time our partnership came to an end, Randy my friend. Don’t you worry none, your mum will keep you company.” I heard him say. The world went dark. Oh, god, he closed the casket lid. The sound of dirt. He was burying me. Oh, god. He’s burying me alive. I cried out. I kicked. I screamed. Every move I made broke something under me. My mom. Brittle bones breaking. A terrible smell. An…ooze…feeling. “Please!! I don’t wanna die this way!! !” I screamed. There was no answer but the bugs crawling beneath me. This entry was posted in Camp Nanowrimo, Fiction, Flash Fiction, Horror, Short Story, Writing.